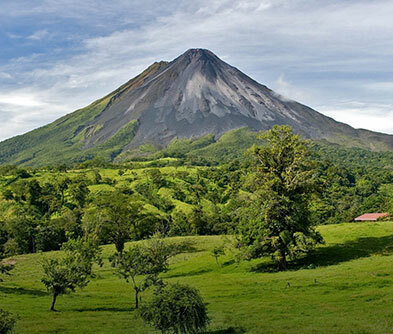 80 miles to the north of San Jose, the Arenal region is indubitably the adventure capital of the country. What else can it be, when you have a semi-active volcano surrounded by rainforests teeming with wildlife? Head out to La Fortuna and if the sun favours you, see the perfectly conical Mount Arenal. Quite the fire breather till 2010, the volcano is currently inactive, except for letting off steam now and then. But the trek, including trails across lava flows are worth it. 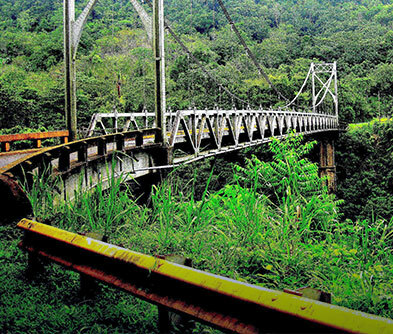 The hanging bridges tour not only takes you into the forest but offers some of the best views of the volcano. For the Alpha adventurous types, the menu here includes zipling over the canopy, bungee jumping, ATV riding, white water rafting and floating down the Penas Blancas River to sight crocs, iguanas, sloths and a multitude of other birdies & beasties! 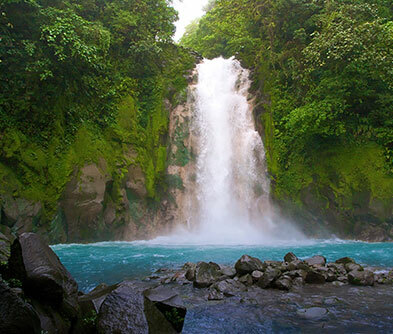 Return to La Fortuna and enjoy the perks of having a volcano in the neighbourhood. Naturally heated springs abound here with matching resorts offering all types of day and stay packages. Soak up views of emerald carpeted mountains dotted with plantations & farms that capture the Tico way of life. Do tuck into Tico cuisine with its rustic flavours, while sipping on local beers.